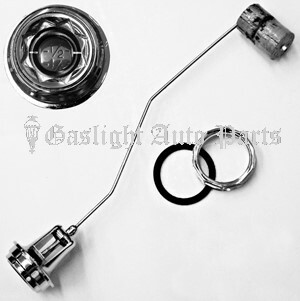 DeLuxe Gas Gauge Assembly. (8 pc.set). Includes both inner & outer chromed nuts, lens, black dial, float & neoprene gaskets. Sold as set, 1928-31. Shipping added when packed and weighed.